I'm continuing my tour of the farmhouse and lilac gardens we visited recently. 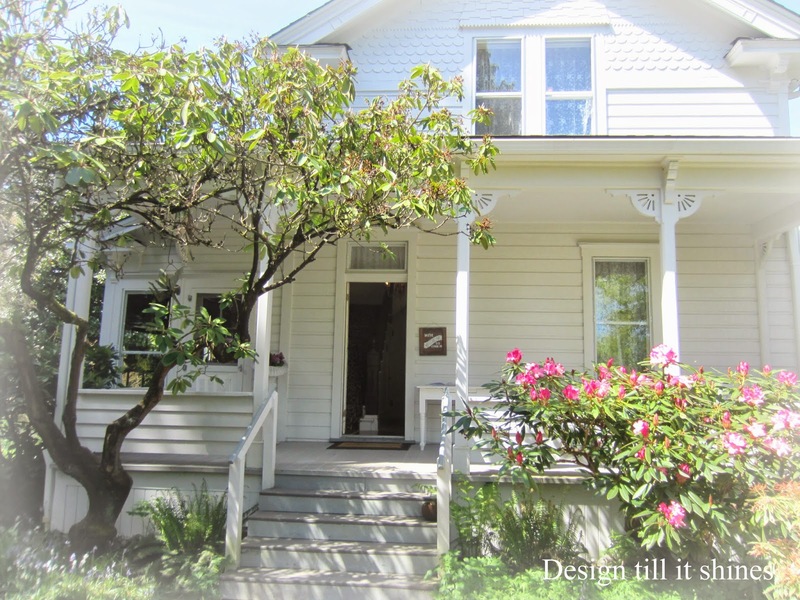 This lovely Victorian farmhouse was built in the late 1880's and was owned by the Lilac Lady, Hulda Klager, during that time. 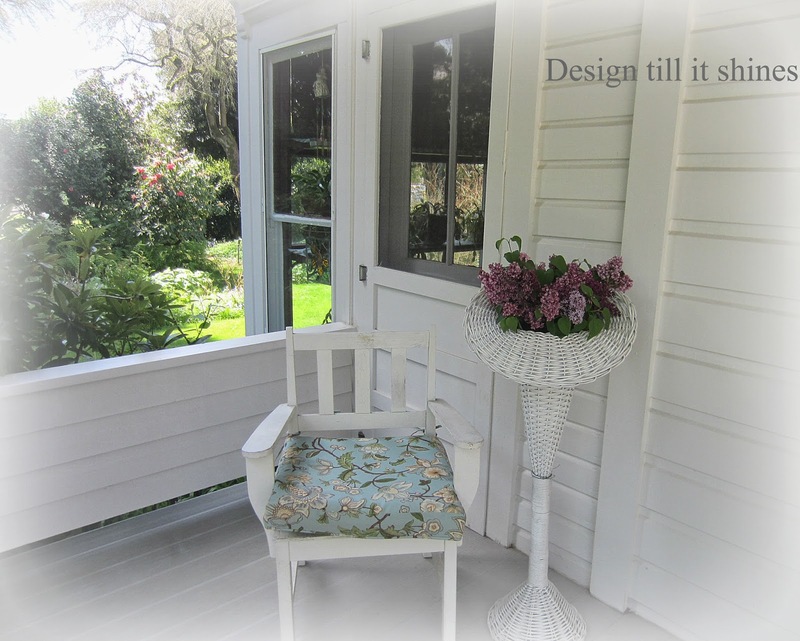 To read more about the lilac gardens she created visit my previous post here. I love the simplicity of a pretty white farmhouse, and the trim on this one was kept rather simple, adding to the charm. Lovely lilacs in a wicker basket stand. I really like the clapboard siding and trim and the cozy porch as well. 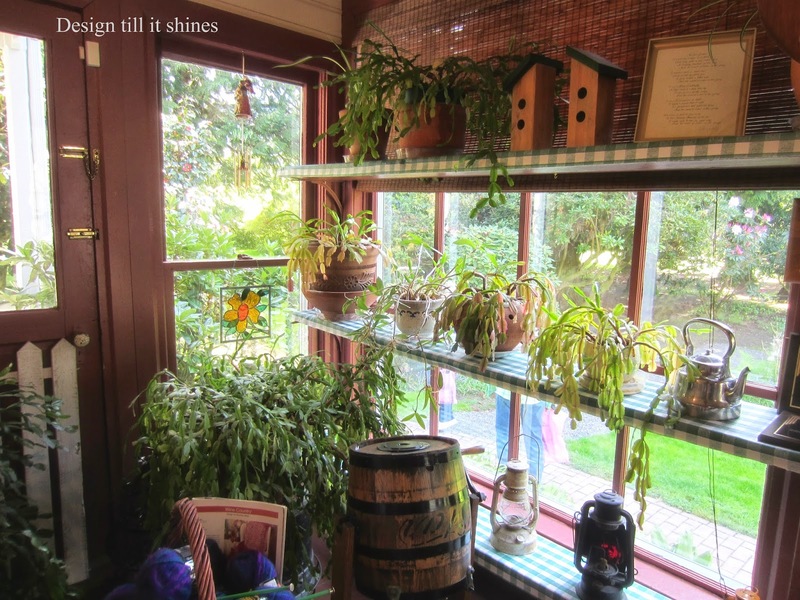 The door on the left leads to the sun room that is full of plants. Sweet little rockers and another wicker basket full of lovely bright pink flowers. I'm really lovin' these wicker basket stands, so pretty on a porch. 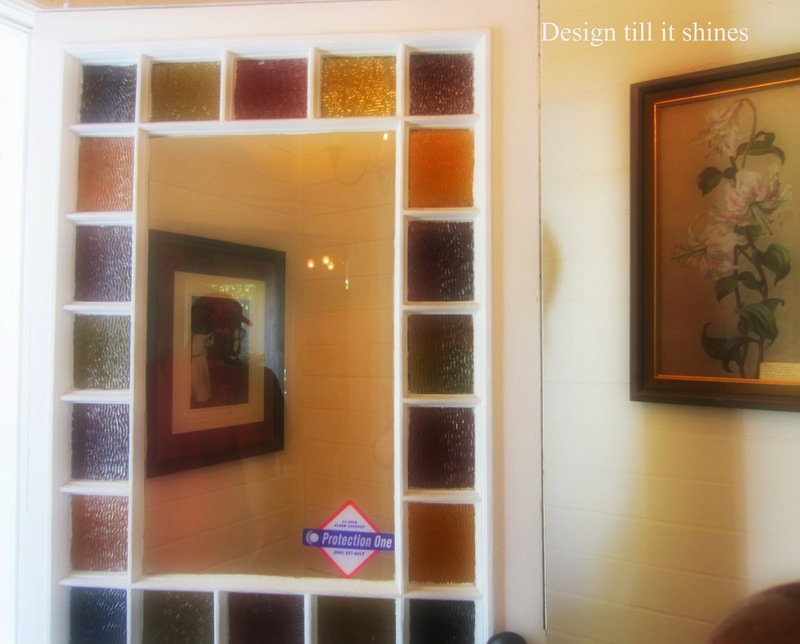 Close up of the stained glass front door. Pretty pattern and colors. 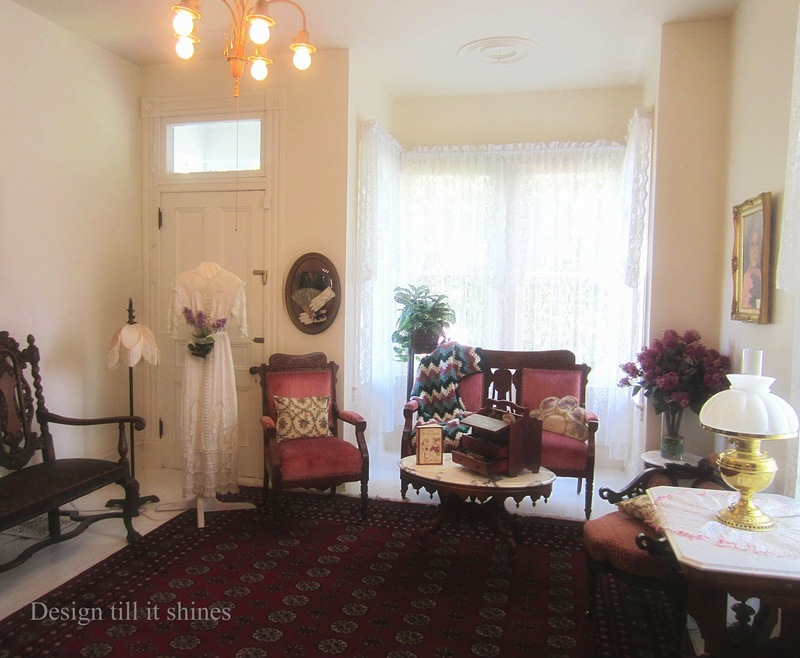 No Victorian farmhouse would be complete without a parlor. Picture quality isn't the best on some of these indoor shots, however I love the white dress on the stand and the huge bouquet of purple lilacs. I couldn't get a full pic of this, there was too much reflection on the glass. 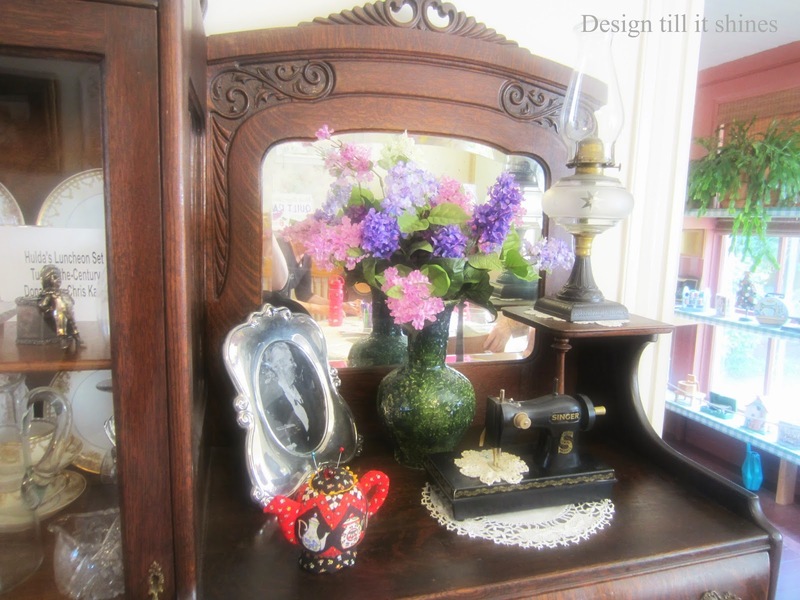 Lovely decorations with more lilacs and mini vintage sewing machine with pincushion. 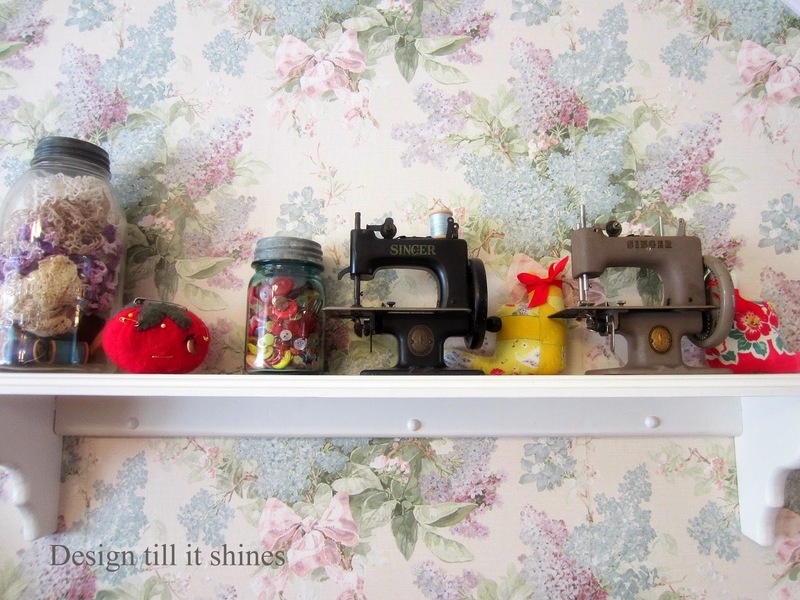 Sewing was the theme in the farmhouse, so there are many little sewing machines on display here. Moving into the sun room. Love all the plants and that vintage poster. I would love a room like this with all the wonderful windows. The picket fence in front of the door is a great accent. Sweet little birdhouses on the top shelf. 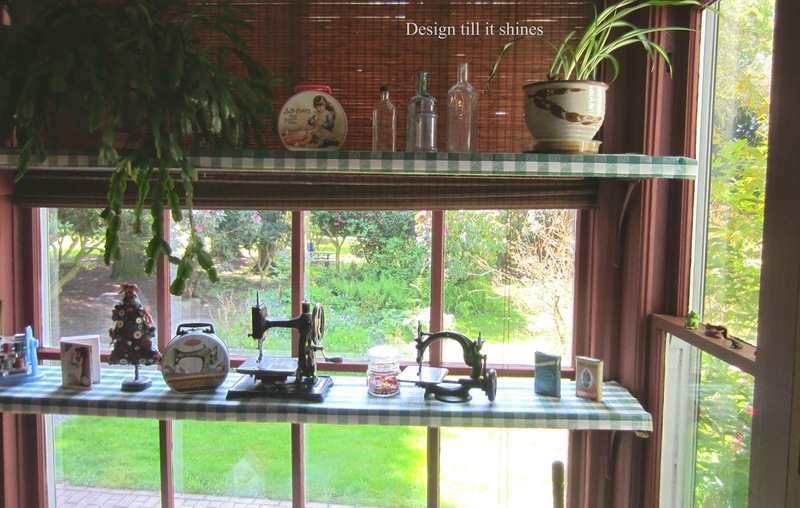 More mini vintage sewing machines. Love the bamboo shades in here too. 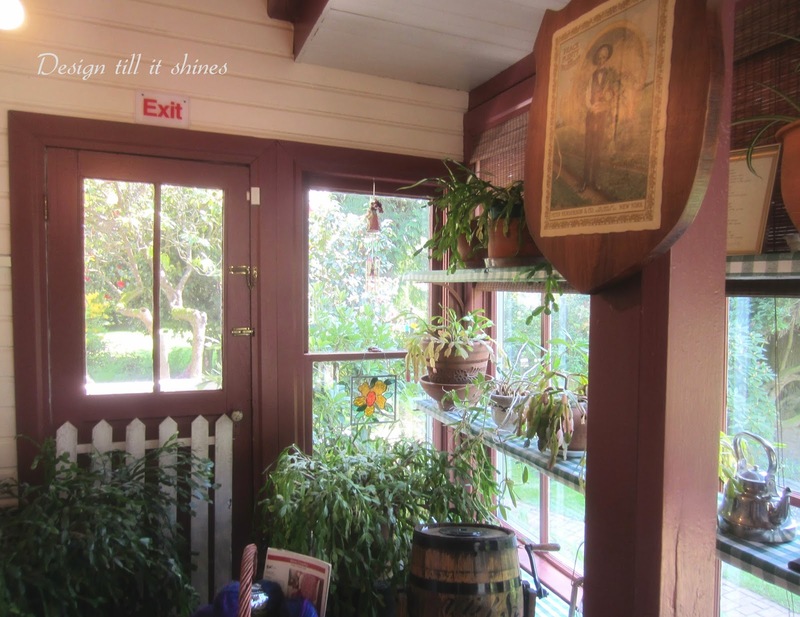 There is so much simplicity and coziness in this sunlit space. 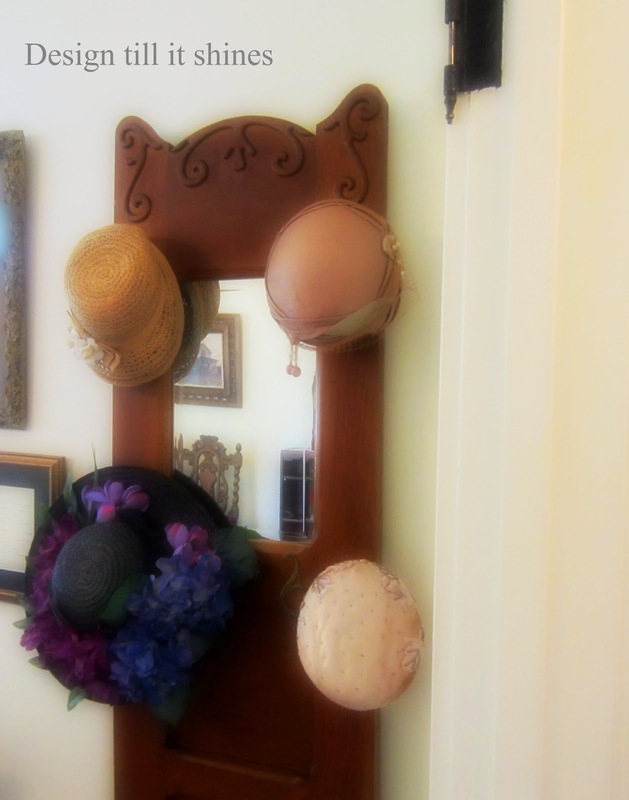 Several of the rooms were roped off, but I wanted to show the pretty vintage hat rack. Lovely lilac wall paper and shelf with more mini sewers. The master bedroom was my favorite. Charming headboard, so elaborate yet simple at the same time. I love everything in here. 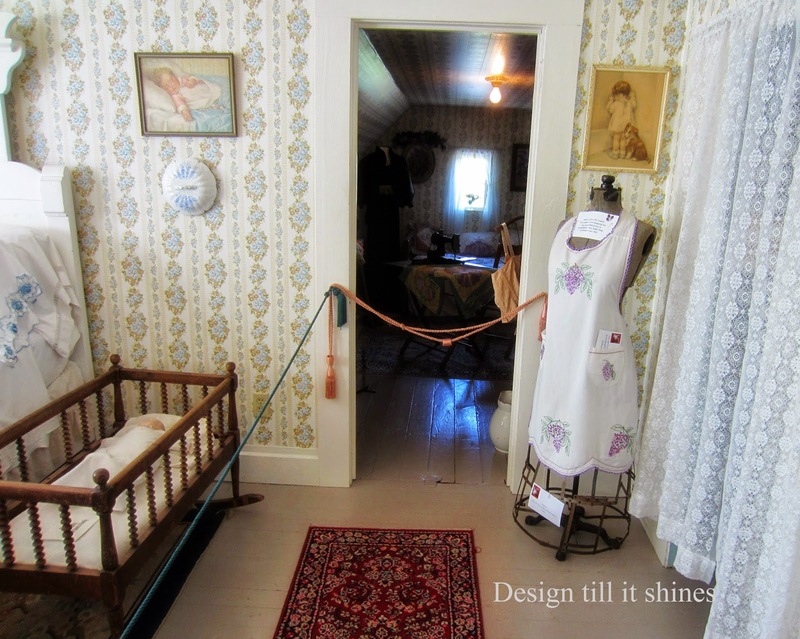 The infant cradle, lovely pictures and the sweet breakfast tray. Beautiful wallpaper too. 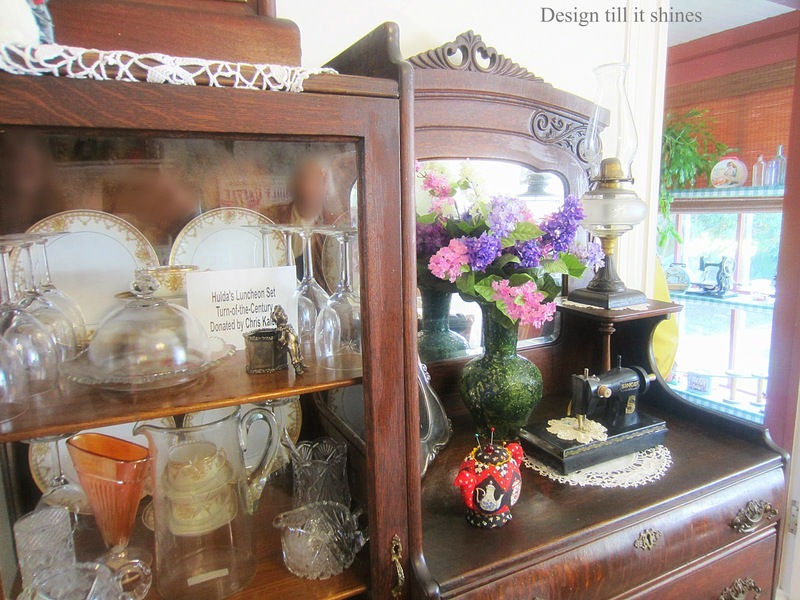 I wanted to share the beautiful carving on the sewing machine cabinet and the antique baby painting. 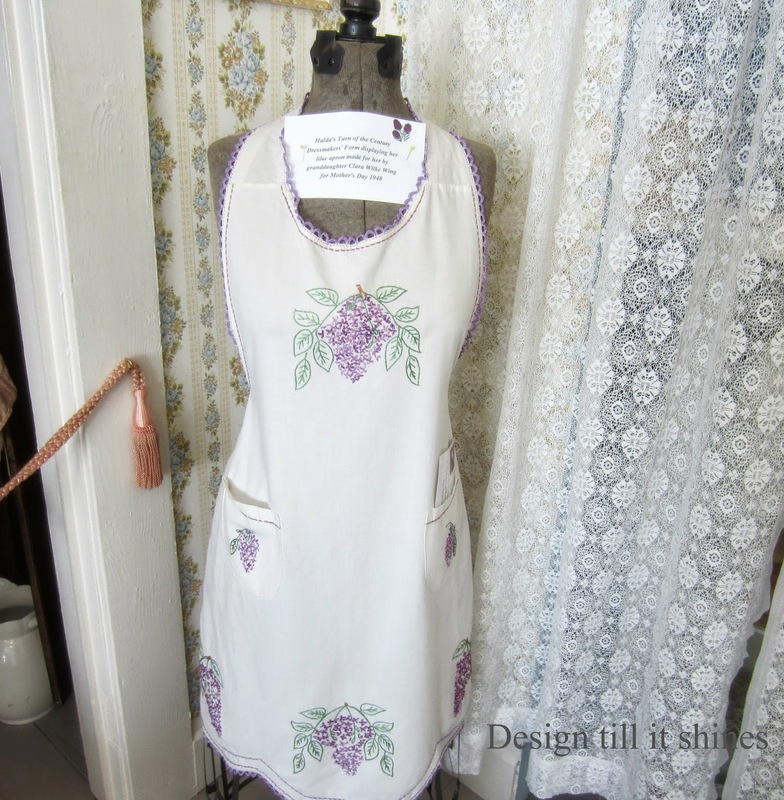 My favorite thing is this room is the charming vintage dress form with the embroidered apron. Lovely lilac detail. I would love to have a collection of vintage aprons. Another bedroom decorated for a child, so sweet. 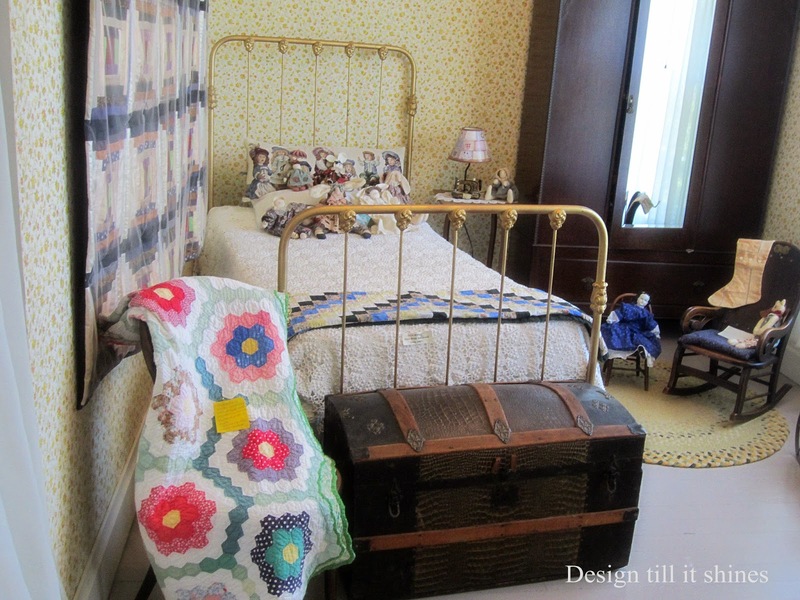 I love old steamer trunks and the detail on this floral quilt. Charming wash stand with vintage pitcher and basin. Art deco style decoration on the mini sewing machine, what an interesting piece! A few pics of the cozy farmhouse kitchen. 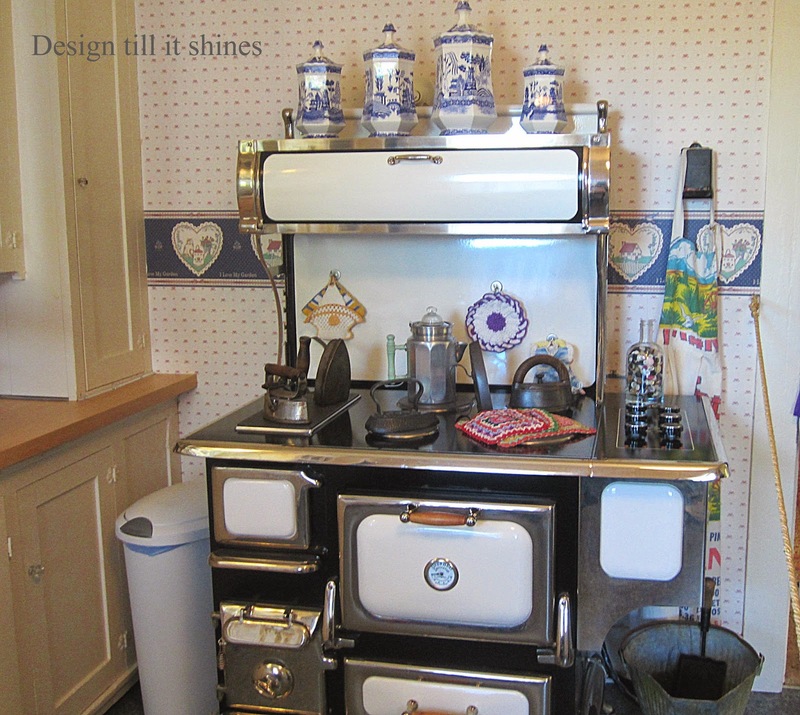 This lovely stove is a reproduction. Love the stainless with the white. I had a hard time getting nicely lit pics in here. 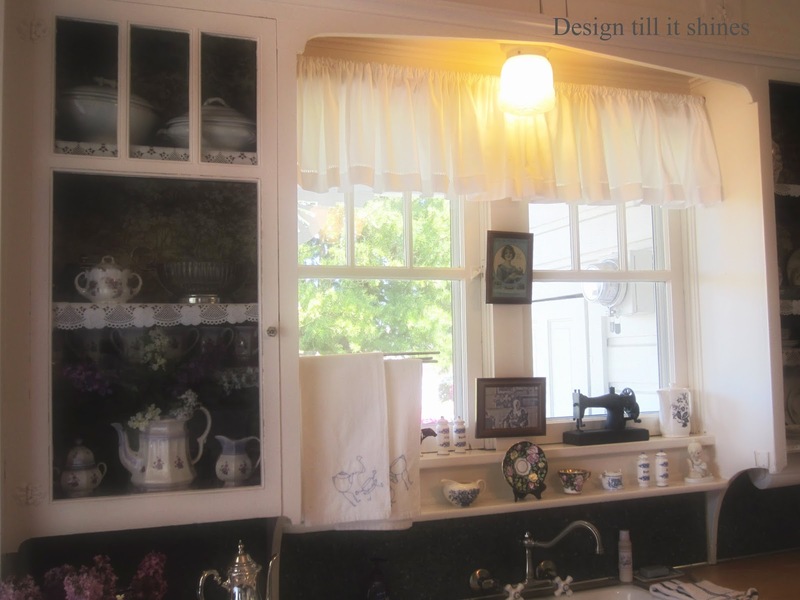 Beautiful double windows over the sink and the glass front cabinets. I could definitely see myself in a kitchen like this. 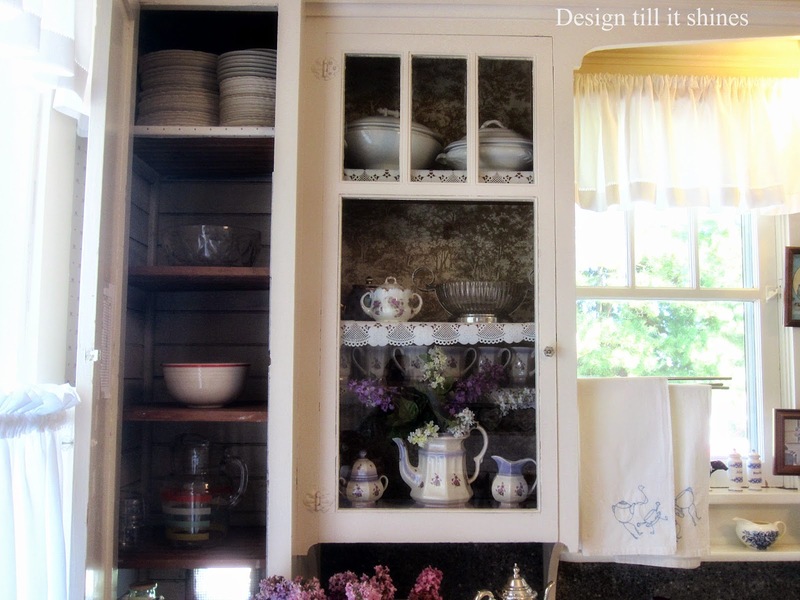 Love the vintage details and the floral dishes. Nice variety of vintage things on these shelves. 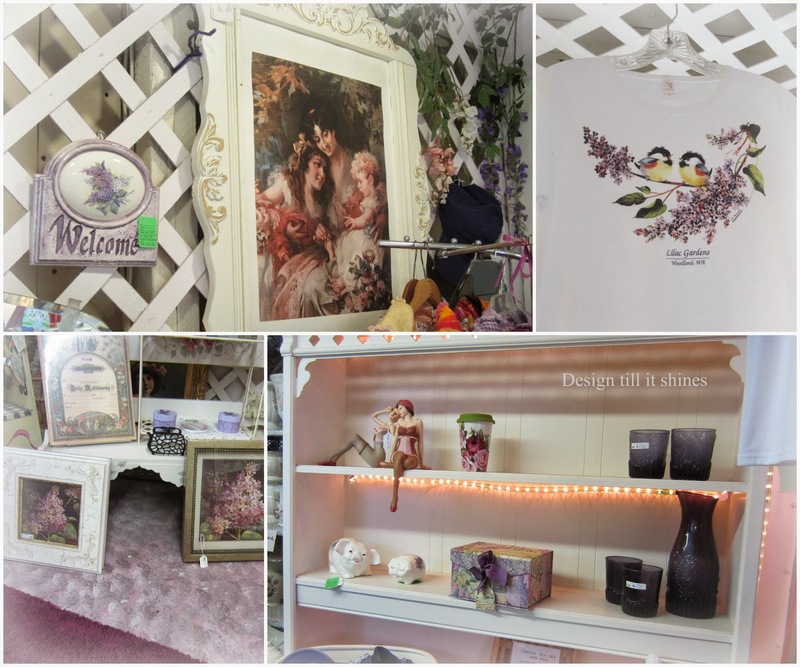 A few of the lovely items in the gift shop. 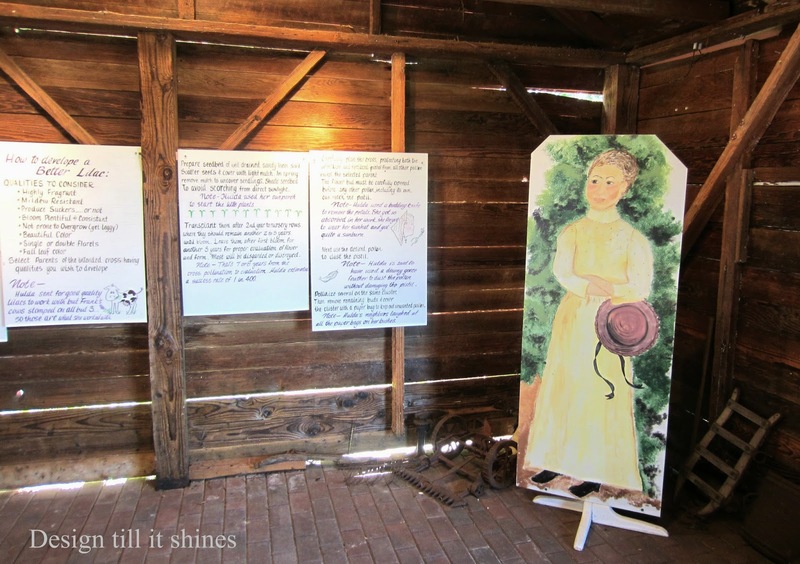 I had so many pics to share that I had to leave some out, but I wanted to add this last one of this old tool shed decorated with a painting of the Lilac Lady and advice on how to develop a better lilac. Visiting the farmhouse and lilac gardens has been my favorite thing to do so far this year. Thanks for stopping by! O MY!! Be still my Victorian Heart!! LOVED every bit of this and also shared it on Google +!! Thanks so much for sharing this as I am an old Victorian Soul!! 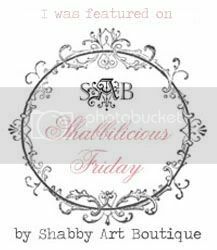 Also shared it on Debbie-Dabble Facebook! Olá amiga, belíssimas imagens, amei cada detalhe!!! Uma abençoada semana. I thought the same thing as I was walking through Deb. Thanks for stopping by. Thanks so much for stopping by!! Some emails are going through but some are not!! No one seems to know how to correct it!! What a wonderful tour, it is a beautiful house.. 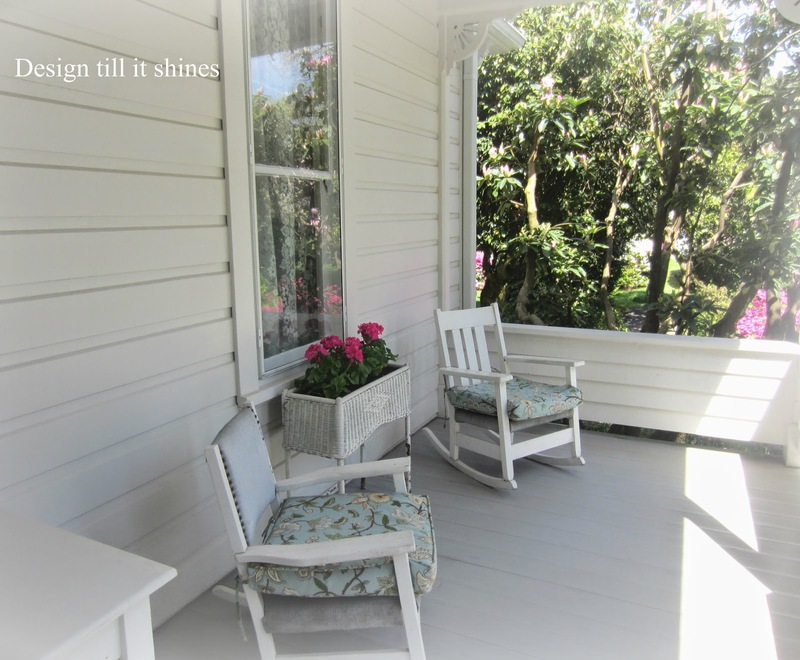 I love porches and the sunroom, the stained glass on the door is pretty. 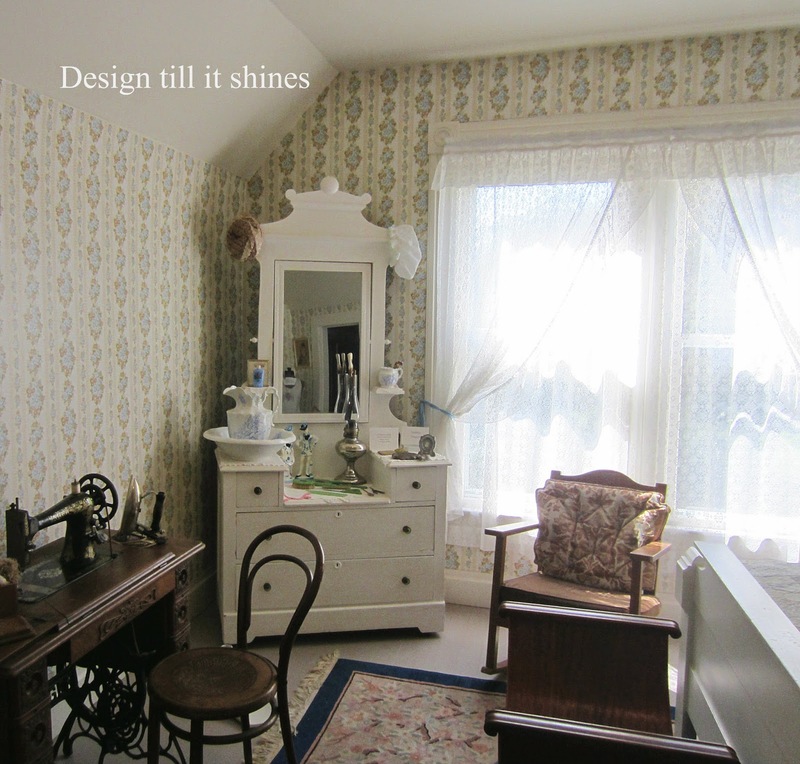 The master bedroom is gorgeous..Thanks for sharing! Enjoy your weekend! 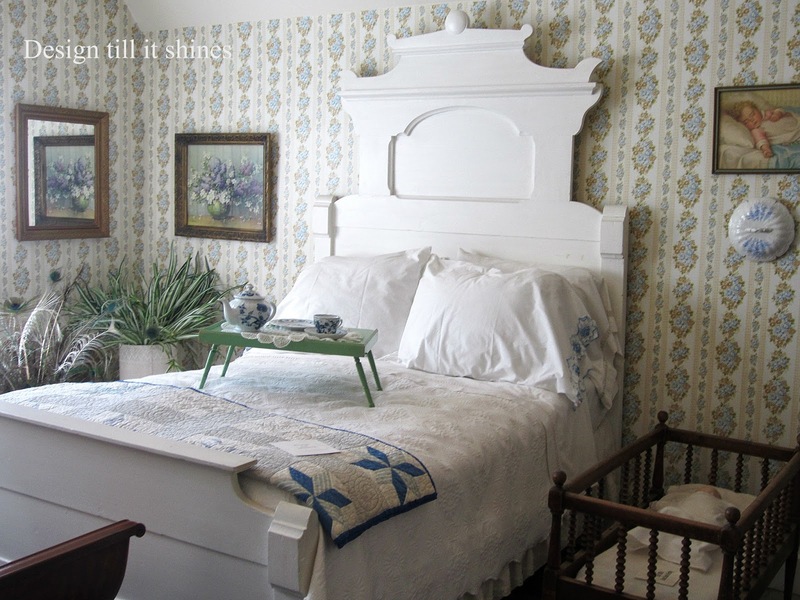 Romantic Victorian farmhouse charm, I love the bed as well. The stories this house could tell. This home is so beautiful and full of history. 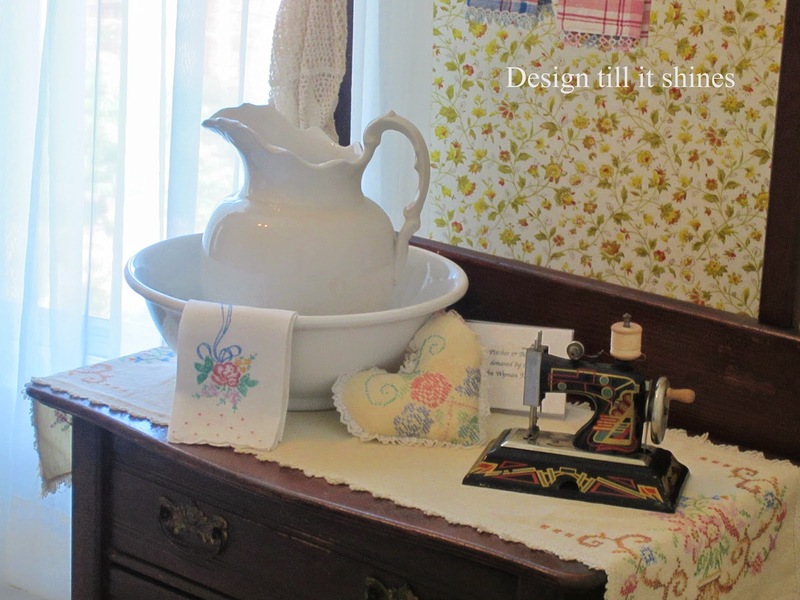 The little sewing machines are adorable and I love the bedroom too! Diane this farmhouse is gorgeous! I especially love the warm and welcoming porch with all of the wicker planters. 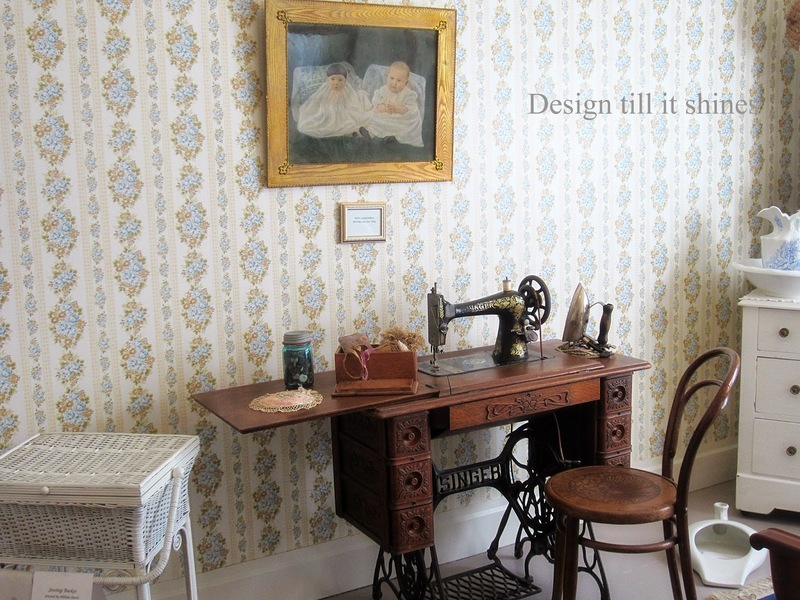 That headboard is beautiful and I love the mini sewing machines. I love visiting places like this. Thanks for sharing with SYC. Great post. Great job with the photos - it's like a magazine spread. 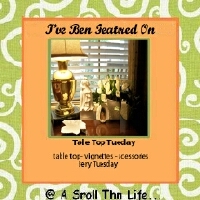 Will be making it my Pick of the Week from SYC Thursday for next week. 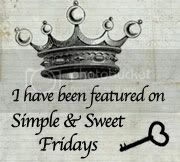 Please stop by and grab my featured at button. 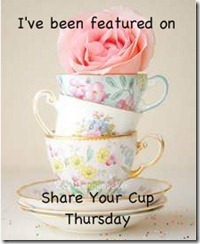 Hi Diane, just hopping back to let you know that I am featuring you at SYC this week. That is a beautiful home! I love the stove! 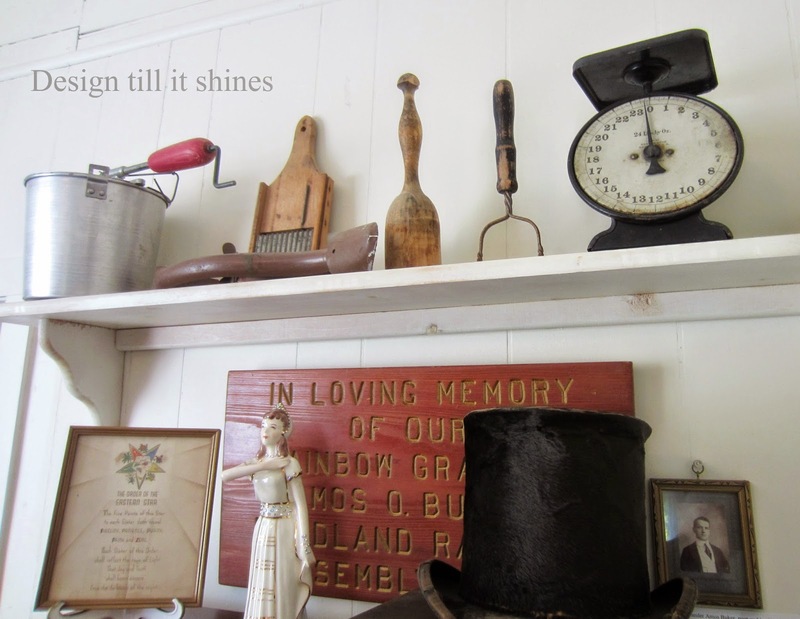 Love it all - reminds me of our home - The Old Parsonage. 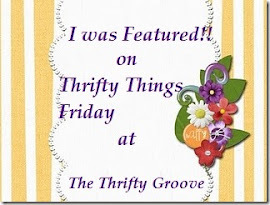 I loved peeking closely at everything!